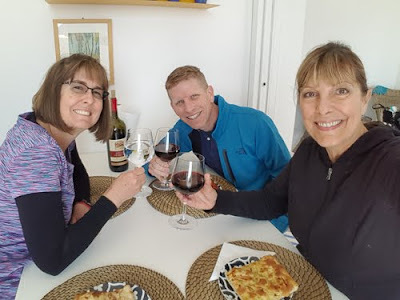 It’s been a while since we posted anything in the blog and we just got back from a trip to Italy, so I thought we’d update everyone on the trip and post some photos in the photo gallery photo gallery. 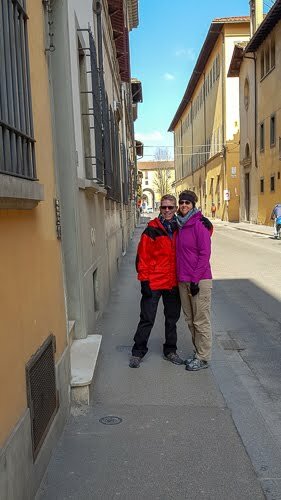 As we didn’t post anything on a daily basis, this is a fairly long post covering two weeks traveling through Italy. I apologize in advance for the length of the post. The itinerary for the trip was to fly to Florence, spend a couple of days there, take a train to Venice, spend a few days there, then take a train to the Cinque Terre. 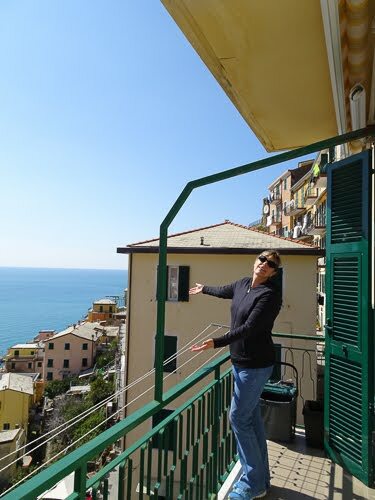 Finally, rent a car in Cinque Terre, drive to Umbertide for a few more nights, then back to Florence, and then home. Our good friend Jody joined us on this trip. We hadn’t traveled with her for a few years and it was great that she was able to join us again for this trip. 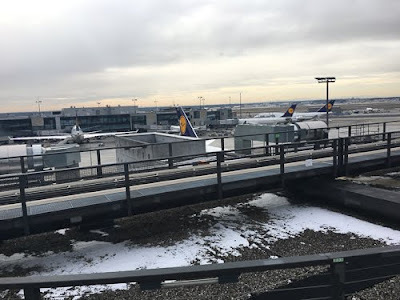 Our trip began with the three of us flying to Florence. 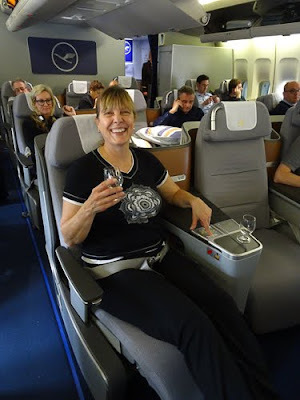 Our flights took us through Frankfurt Germany, so for our trip to Italy, we all got a German passport stamp. I think Jody was a bit disappointed she didn’t get a stamp for Italy. We realized we weren’t in the desert anymore when it started snowing at the airport while we were waiting for our flight to Florence. When we arrived in Florence, we very quickly realized that we had underdressed for this trip. Temperatures were running in the mid 40s with winds of about 20 mph (which felt like they were coming off the polar ice cap). Personally, I was wearing about three shirts and two jackets plus long-johns, pants and gloves just to keep warm. In fact, we stopped at a local vendor and all bought scarves to help stay warm. They weren’t the highest of quality but they really helped us keep warm. Jody and Sheila eventually noticed that their scarves were shedding all over on their clothes. Being covered in fuzz was a small price to pay to stay warm. On our day in Florence we started out by visiting the famed Cattedrale di Santa Maria del Fiore or Duomo. Sheila had made a reservation for 8:30 a.m. for us to climb the Duomo’s 460+ stairs to the top, which was the first group of the day to go up to the top. 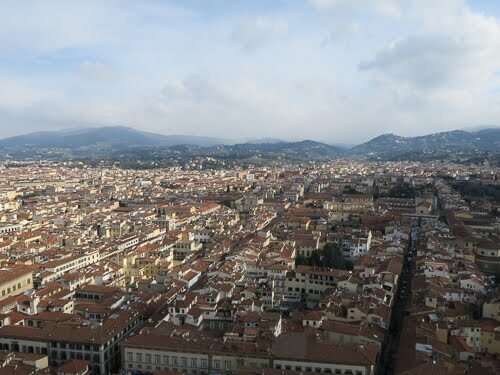 The view from the top was spectacular and a great opportunity to see the Florence skyline with all of its varied rooftops. Once we made it back down to the ground floor, Sheila and I decided to also climb up to the top of the bell tower at the Duomo. This was another 400+ stairs to reach the top. 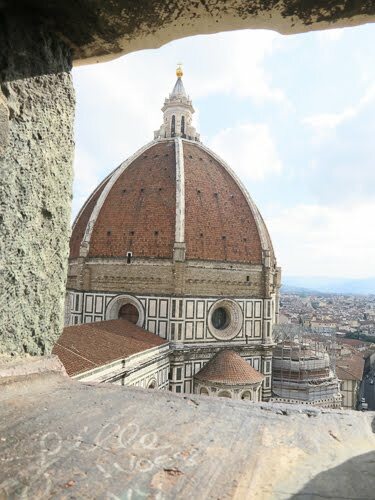 One of the coolest things on this bell tower is as you climb up the stairs you can look through the small openings and see the views of the Duomo and the Florence skyline. 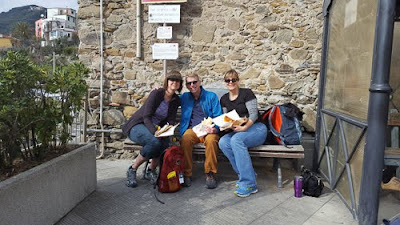 After lunch we all took a bus to Fiesole, which is just outside of Florence. The town was really cool and a nice change from all the tourists in Florence. While there we checked out a nice Franciscan monastery. 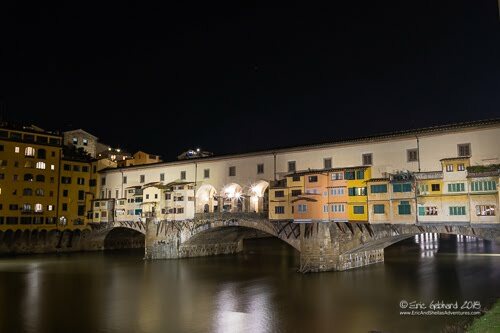 After dinner, Sheila and I walked out to Ponte Vecchio to take some pictures of the famed bridge there. We got back late and were ready to go to bed. The next morning, we had to get ready for our train ride to Venice. 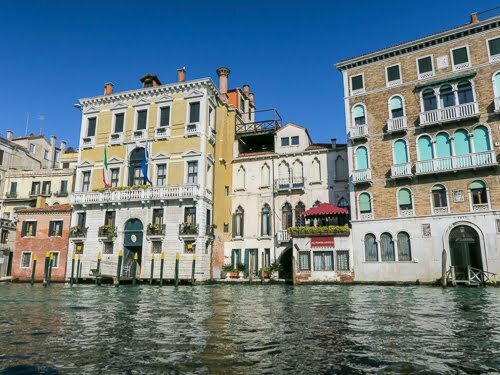 To quote Indiana Jones from the Last Crusades “Ahh Venice” but just as appropriately “Uh Venice.” Venice is a city that is both beautiful and ugly at the same time. The beauty of the old architecture and design of the city along with the history is amazing, but at the same time the hordes of tourist ruin the charm of the city they came to see. 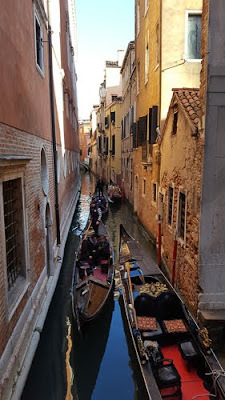 Seriously, when we got off the water bus (vaporetti) it was so crowded that you could hardly move through the narrow street, and it wasn’t even high season. To really see the beauty of Venice, you need to go out early in the morning or late at night when the crowds of tourist are not out. 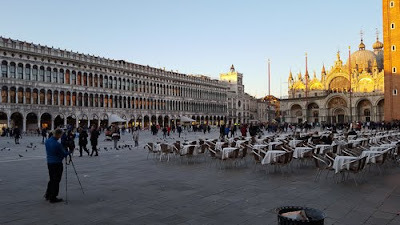 These are the times when you can walk through Saint Marks Square and only see one or two other people. 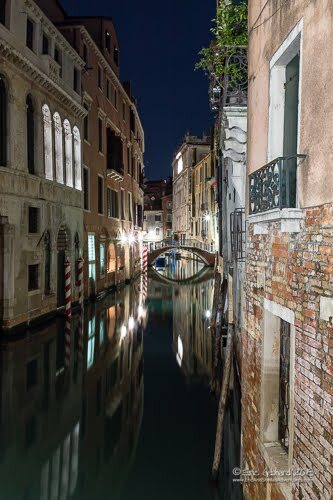 Don’t get me wrong, Venice is beautiful and well worth visiting--just be ready to have lots of people around. 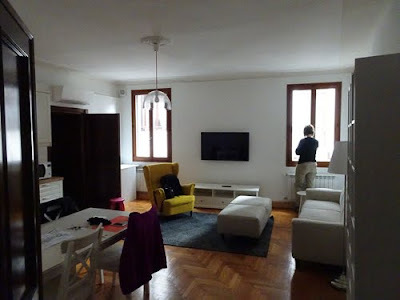 We rented an apartment through Airbnb and it was great. I think the apartment was bigger than our condo at home and it was right over one of the canals. 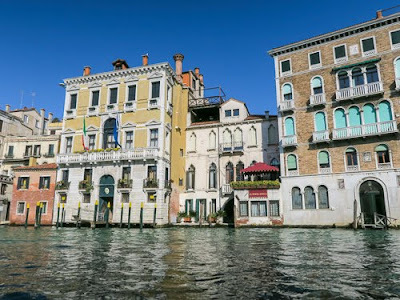 I would highly recommend it, Venice Airbnb. 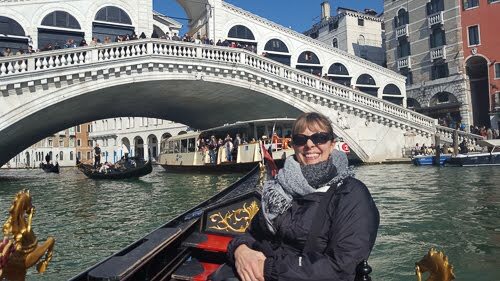 During our time in Venice we visited all of the major sites and did the quintessential Venice thing--went for a gondola ride. It was pretty cool and the gondolier pointed out several of the historical sites including Marco Polo’s house. 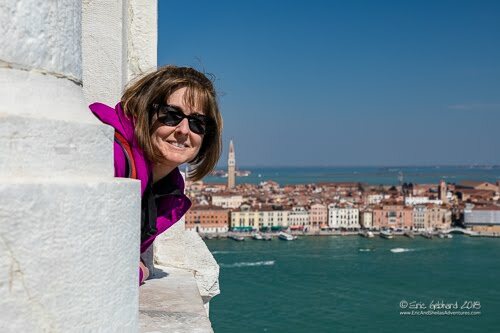 In Venice we also crossed over to another island and visited the Church of San Giorgio Maggiore where we went up to the top of the bell tower. I was hoping we could climb the stairs to the top, but much to Sheila and Jody’s delight the only way to the top was via an elevator. While we were at the top, the bells started ring and they were really loud. 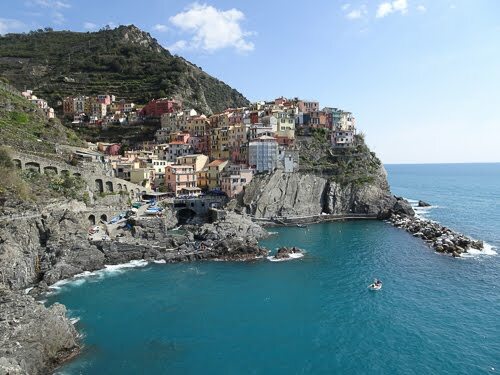 The Cinque Terre is one of the coolest places I have ever been. 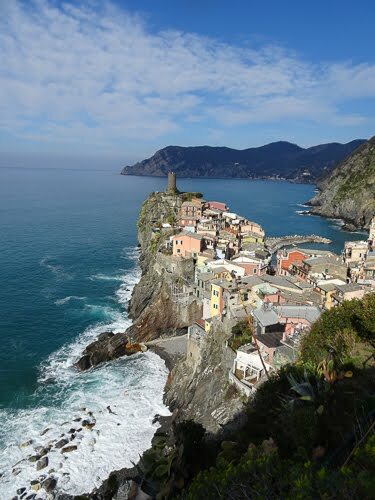 The area consists of five (Cinque) villages on the sea and is a national park and UNESCO world heritage site. 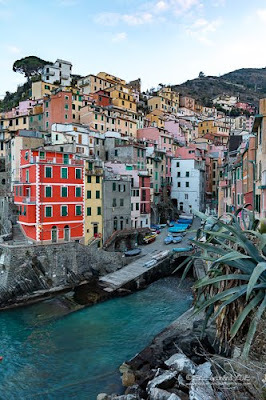 There are no cars in most of the cities with the exception of Monterosso, which has some cars and scooters. To travel between the towns, you can either hike or take the 3-5 minute train ride. Unfortunately, the trail was closed while we were there. In fact, parts of the trail have been closed for years due to landslides, so we rode the train. I think Sheila and Jody where glad we weren’t walking between towns! For our home base, we rented an apartment through VRBO in Riomaggiore (Riomaggiore Apartment). Riomaggiore is the first of the five towns you reach as you are traveling from Florence. Once again, this place worked out great. From our balcony we could see the whole town and watch the waves break over the sea wall in the harbor. During our time in the Cinque Terre we visited all five towns and each one had a different feel to it. Another thing about this area is it is incredibly photogenic. I spent most of my time, especially around sunrise and sunset, running around taking photos. It’s hard to point out anything specific that we did. The whole vibe of the area takes over and life slows down and gets simpler. If you want to visit another town, you just hop on the train and you are there in about 5-15 minutes. All of the towns are so small, you can walk the entire main street in about five minutes. 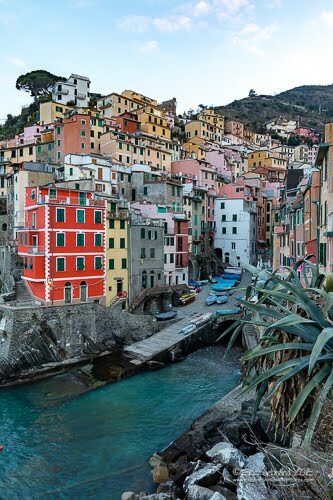 You think you have seen the whole town, but in reality it would take you days to explore all of the little walkways and passages within each town to really get to know them. 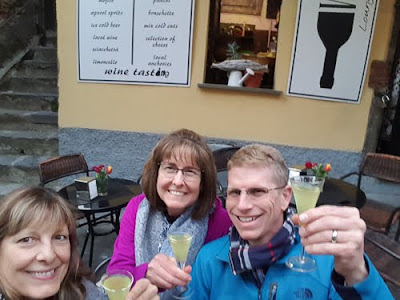 The weather was still quite cold but a bit warmer than in Florence and Venice, although stormy weather did start to roll in on our last day in the Cinque Terre. 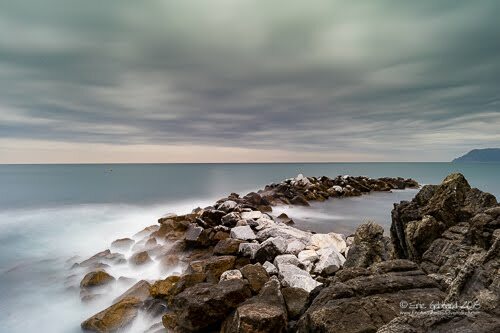 This made for some rough seas, which in turn made for some really cool long-exposure photo opportunities. Brendan’s video has some really good information in it and if you’re into photography, I consider it to be essential viewing before visiting. 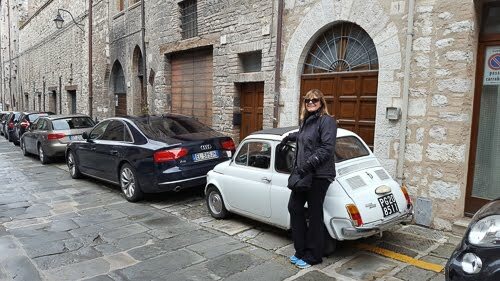 We took the train from Riomaggiore to La Spezia where we picked up our rental car, a Fiat 500 (what else would we drive in Italy? 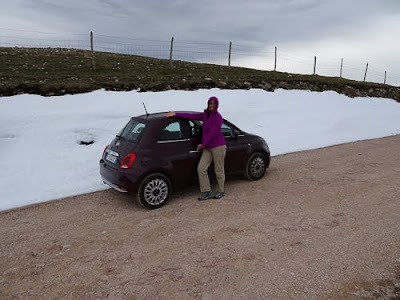 ), and drove to Umbertide. We stayed at Farmhouse Casale degli Olmi which is an Agriturismo owned by a friend of ours, Fabrizio Ramaccioni. We met Fabrizio and his girlfriend, Barbara, while scuba diving in Palau in 2014. His B&B is beautiful and very quiet. Fabrizio is an excellent host and I would highly recommend staying at the Casale degli Olmi. 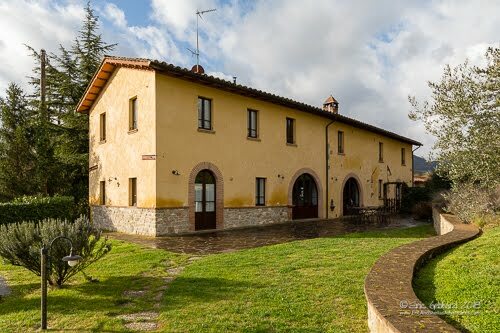 Being a bed and breakfast, Fabrizio would make breakfast every morning consisting of fresh bread, homemade pastries, various homemade jams and honey along with juices and coffee. Most everything was homemade and we never went hungry at breakfast. Our first night in Umbertide, at the recommendation of Fabrizio, we had dinner at a restaurant in Montone called Tipico. This place was really great and the food was spectacular. Dining in Italy is such a treat. First of all, the food and wine is amazing. When you visit these small family run restaurants, you can see the pride they put into everything they do. Secondly, you are never rushed. If you want to spend 3 hours at dinner, they are more than happy to accommodate you. At Tipico they are particularly proud of their collection of olive oils. They claim to have over 20 different types. They offered us a couple of different ones to try with our bread. 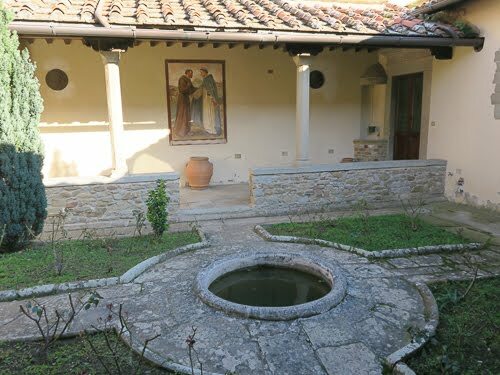 They also boast that everything they sell/serve is from the Umbria region. 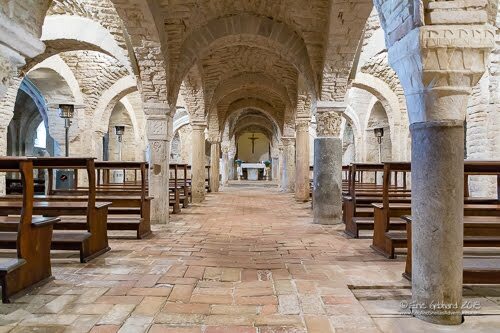 On our first full day in Umbria, we drove to Assisi and visited the Basilica di Santa Maria degli Angeli which is a large church that houses a small church from the 4thcentury that Saint Francis of Assisi restored in the 13thcentury (more details here). It is also where Saint Francis died in 1226. We visited on good Friday and there was a large group of young people visiting to receive a blessing in the little chapel. For lunch we stop at a local sandwich shop that Fabrizio recommended and had another great meal. Just five euros for a large sandwich and a beer, not a bad deal. 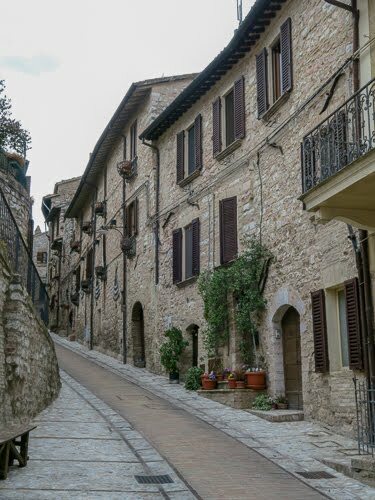 From there we drove up the hill towards Assisi, which is quite a popular tourist destination, especially on Easter weekend. 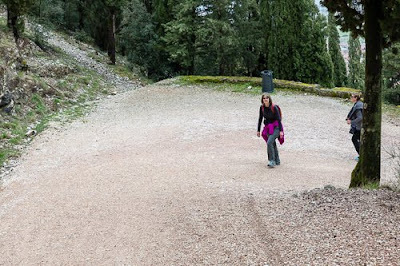 Once again, at the suggestion of Fabrizio, we drove past Assisi and up to the top of a hill via a dirt road. 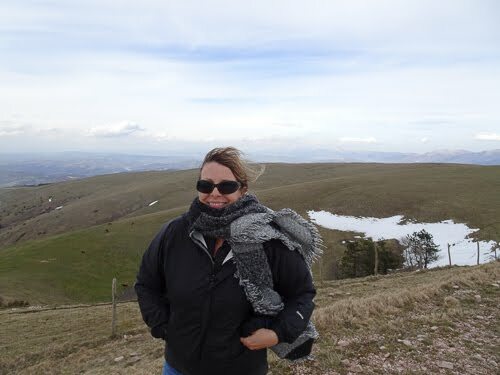 It was quite high up in the hills as there was still snow in areas and the views were awesome. From there we dropped down into the small town of Spello. Spello is a cool little hill top town that isn’t too touristy. We walked around town for about an hour and then headed back to the farmhouse as the clouds began to move in. 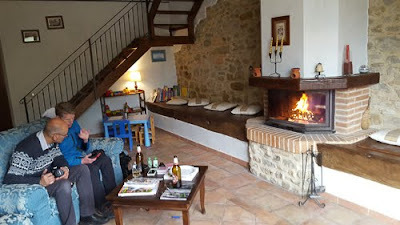 The next day the weather called for rain so we all decided to stay at the farmhouse and relax. I worked on pictures and Sheila and Jody got massages. I guess we all have our own way of relaxing. On Sunday we headed to Gubbio, another neat hilltop medieval town and home to a Roman amphitheater, Teatro Romano. The amphitheater was nice to see, but the town was worth the visit. It was Easter Sunday so everyone was out. At noon all of the church bells started ringing and as there is a church on just about every corner in Italy, there were a lot of bells ringing. 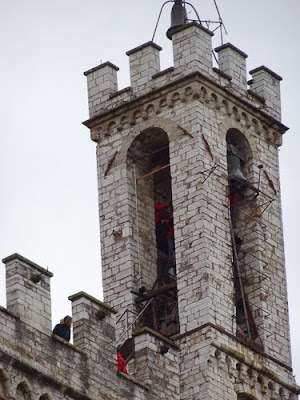 At the main church bell tower in town, you could see half a dozen men in red shirts staged in various positions within the tower to ring the bells—what a job. 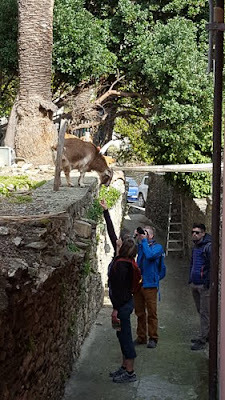 We walked through the winding streets of the town, made our way to the highest point, and then followed a dirt road up to a church at the top of the hill. About half way up the hill, it started raining, but we persevered and made it all the way to the top. 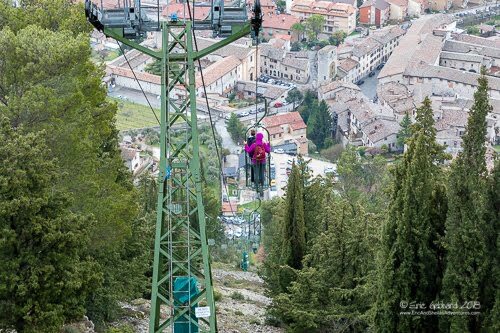 Our goal was to get to the top and take the gondola back down to the bottom. The gondola was just a very small open air basket and could only hold two people standing upright. Sheila and Jody took one and I followed in the next. The ride was very steep but afforded some great views of Gubbio on the way down. On the drive back to the farmhouse we stopped at another church, Abbazia Camaldolese di San Salvatore, which Fabrizio recommended we visit. It is actually two churches, a newer one built on top an older one. The older church is over 1000 years old. When you look at the columns in the old church, you see that none are the same height and all of them are ornamented differently. 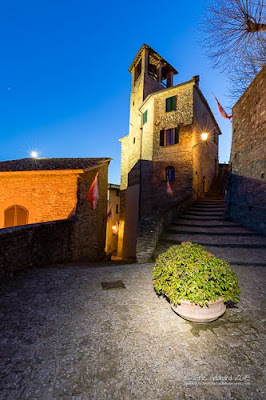 For our final dinner in Umbria, we decided to go back to Montone and dine at Tipico again. The plan was to get to Montone before sunset and take some photos of the sunset from the monastery at the top of the town. Of course, this was one of the few cloudless evenings during the whole trip. Nevertheless, I got some cool night photos of the town before we went to dinner. 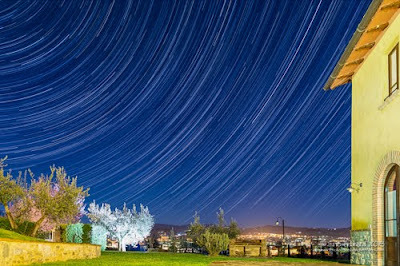 I decided because it was so clear out, I would try and do a star trails photo at the farmhouse. It was going to be a bit tricky because it was also a full moon and I had to wait until the moon was behind me to take the photo. So I planned out the shot, set the alarm, and went to bed. At about 1:00 in the morning I got up, setup the camera, and started shooting. It took about one and a half hours to take the shots, during which time I sat in the main room staying warm by the fire. Once the shots were done, I packed up the camera gear and went back to bed for a few more hours of sleep. In case you don’t know, a star trails shot is made by taking many photos over a series of time. The images are then layered to show the stars moving across the sky. It is a really cool effect but one of the most important tools is a very good, steady tripod. Unfortunately, the head on my tripod started dying on the trip and by this time it wouldn’t lock in position very well. As a result, the foreground of the image is a bit blurry due to the camera moving slightly. Anyway, the final image still looks good. On Monday we drove back to Florence and returned the rental car. 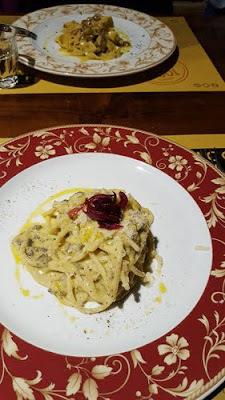 While we were in Florence at the beginning of the trip, Sheila and I had dinner at a nice restaurant called Coquinarius and had made a reservation for the three of us for our last dinner in Italy. 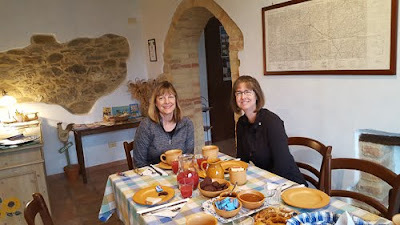 Sheila and I had a pear and pecorino raviollini and Jody had a chestnut crepe pasta with spinach and ricotta. A great way to finish off a great trip. The next morning we reluctantly made our way downstairs to catch the taxi and head to the airport for our flights back home.